Super Basic 50M Need Help? Super's 50M features transparent crystal acetate with a raw matte finishing lending a cool frosted effect. 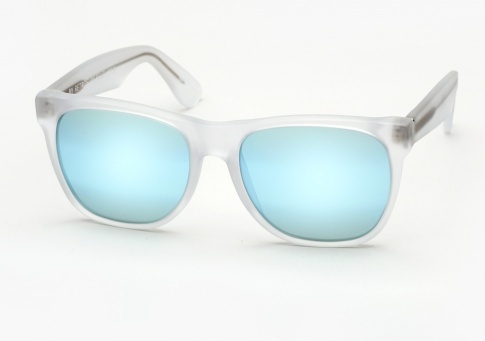 It is then finished with unique Zeiss three stage mirrored lenses that shift from a subtle golden blue to light blue. so get them while they last!